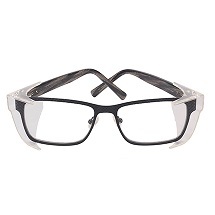 A selection of new metal, plastic or hybrid frames, all ultra-comfortable! Advanced coating: PLATINUM®,anti-fogand anti-scratch coating. Applied by a dipping process on both sides of the lens, PLATINUM® is a permanent coating that gives a high scratch resistance and delays fogging beyond the minimum required standards. Platinum® is K and N on both sides of the lenses. 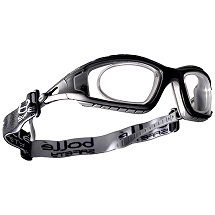 BolléSafety is the only company to offer an anti-scratch and an anti-fog K and N coating on their prescription lenses. PLATINUM® ensures greater safety, reliability and comfort. 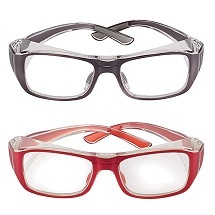 Take a look below at some of the frames available for your prescription eyewear!